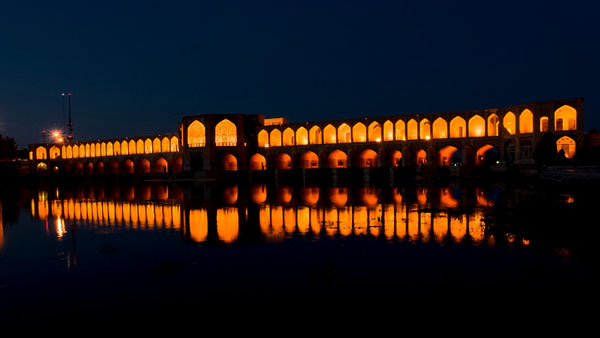 The city of Hamadan (Hegmataneh) is considered to be the cradle of Iranian history and civilization. History, cool weather and the unique attractions of historical and natural tourism are the least this city has to offer. Due to the moderate climate of Hamadan in the warm seasons, it is considered to be a great option for summer trips. 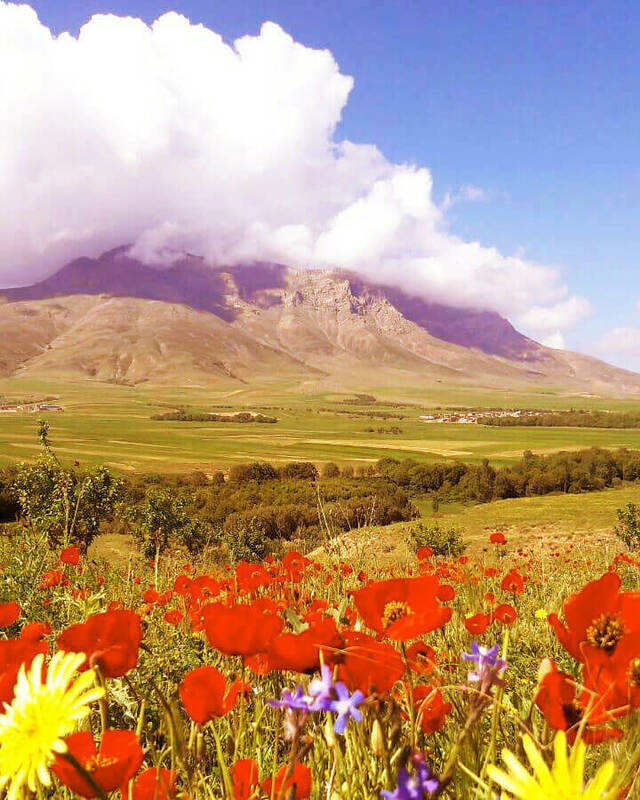 Hamadan is considered to be one of the high altitude provinces of the country in the west. The city is bounded to the north by Qazvin and Zanjan provinces, from the west by the provinces of Kurdistan and Kermanshah, south by Lorestan province and from the east by the Central province. 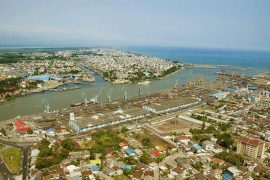 With an area of 19493 square kilometers, it is one of the largest cities in the country. 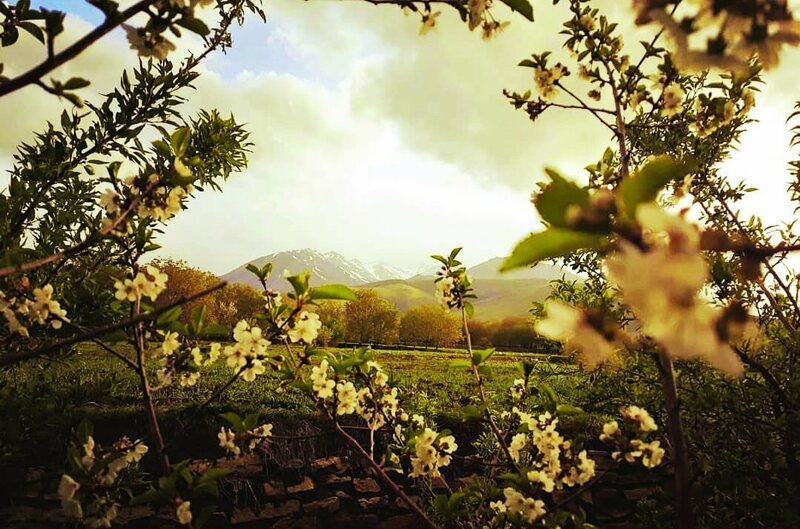 The city is located on the slopes of Mount Alvand and its height from the sea level is 1741 meters, that’s why it is one of the oldest cities in Iran. 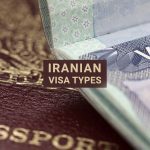 The geographical location and climatic that the city offers, has led the inhabitants of the Iranian tribes from thousands of years ago to live there. The excavations carried out on the Gayan Nahavand have unveiled that the city goes back to at least 6,000 years ago. Years before the Aryan’s set foot on Iran, a tribal resident named Gaussian lived in this particular area. 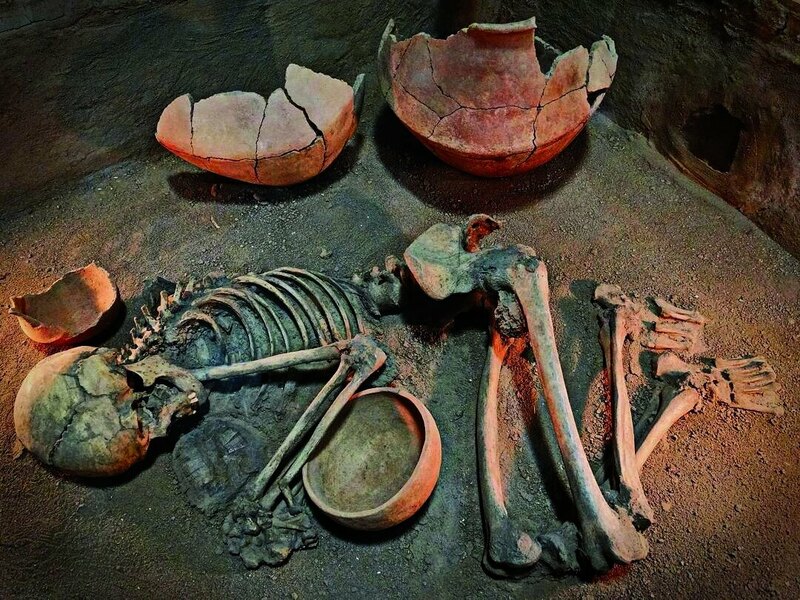 According to the findings, the civilization in this province can be attributed to the third millennium BC. But Hamadan is known more by the name of the kingdom of the Medes. According to Herodotus, the famous Greek historian, the Medes managed to reach power in the late eighteenth century BC and set up the first integrated and powerful government on the Iranian plateau. 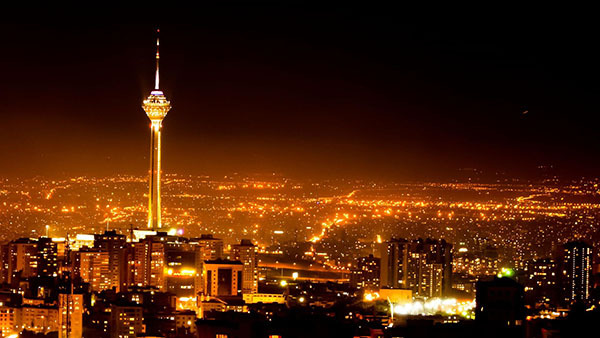 Di Koko, the first Shah of Mede, chose Hamadan as the capital of his empire, the capital that is famous for “Hegmataneh”. Today, the remnants of the Hegmataneh hill, are considered to be the remains of the city and the castle of Diako. Hamadan also boomed during the Achaemenid period and was known as their summer capital. The remnants left over from the Achaemenid period indicate the importance of this city at that time. Undoubtedly, Ali-Sadr Cave is the most famous tourist attraction (of a natural type) in Hamadan. 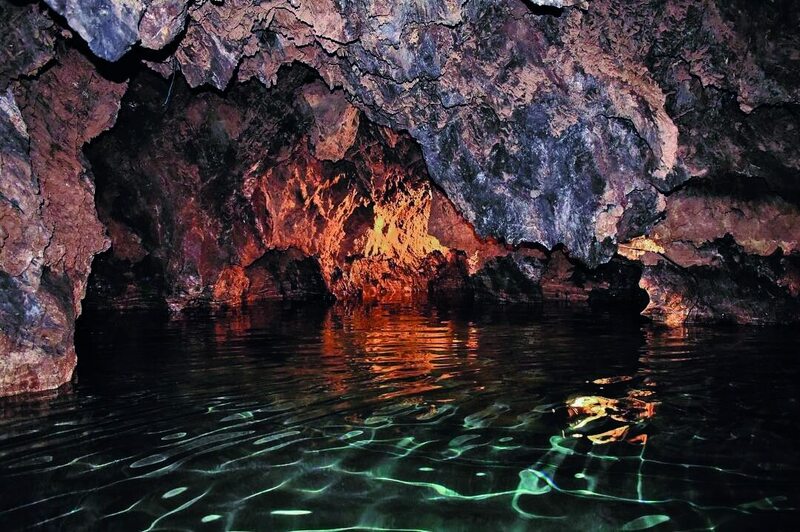 Ali-Sadr is the longest water cave in the world, located about 70 km from the city of Hamadan. You will see the most beautiful natural scenery in this amazing cave. To get to this cave, you have to go to the city of Kabudarahang and through the village of Ali-Sadr. After getting a ticket, you will go by boats to the cave and from there you can actually watch the wonders of it. There are also walking trails in some parts of the cave. The interesting thing about this cave and many other caves is that the temperature of the air in all seasons is fixed at about 20 ° C. When traveling to Hamadan, do not forget to visit Ali-Sadr’s unique cave. After watching these valuable monuments in the complex, you will be able to watch the beautiful Ganj-Name waterfalls. 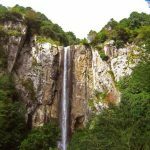 This particular waterfall is 12 meters high and it is located on the way to Alvand mountain ranges. In both warm and cold seasons, tourists and enthusiasts of rock climbing and nature come to visit this so-called “attraction”. 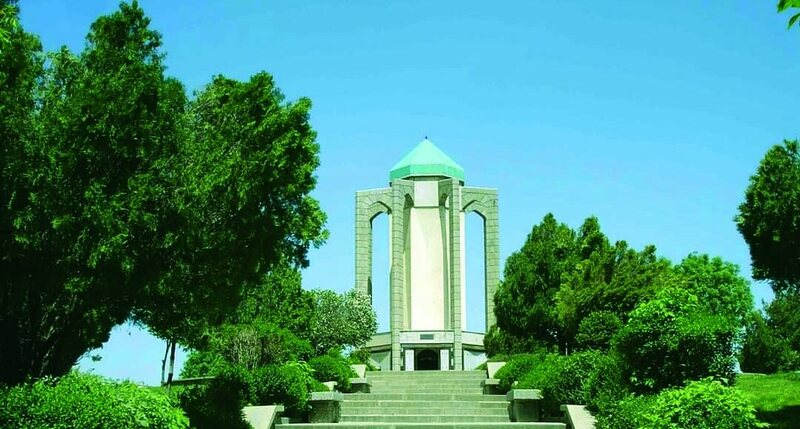 The tomb of the famous Iranian physician and poet is in the city of Hamadan. 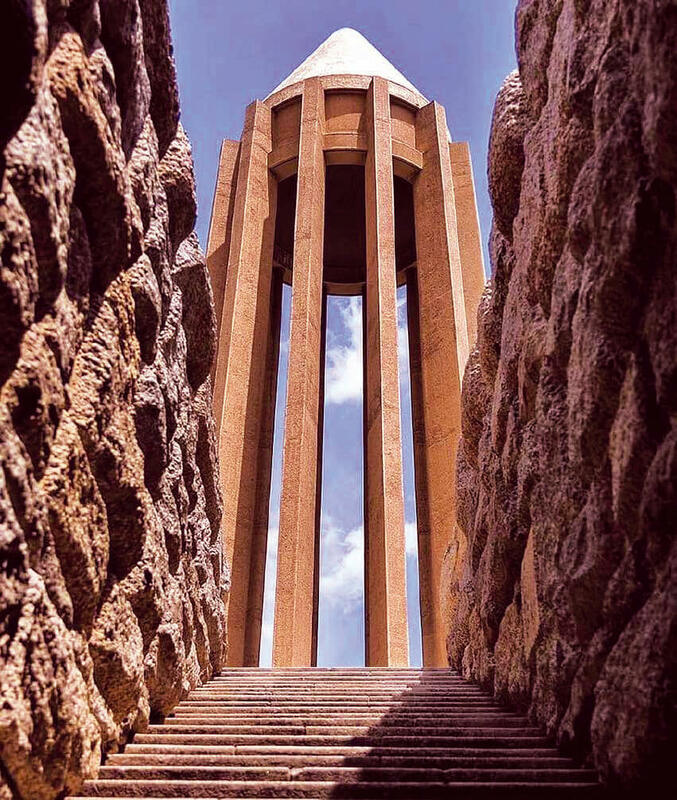 The design of the Mausoleum of Bu-Ali Sinai is inspired by the famous Tower of Gonbad Qaboos in the city of Gonbad. Part of this site is dedicated to keeping the old exploratory objects from this city and the other part is dedicated to showcasing the monumental books and works of Bu Ali Sina. 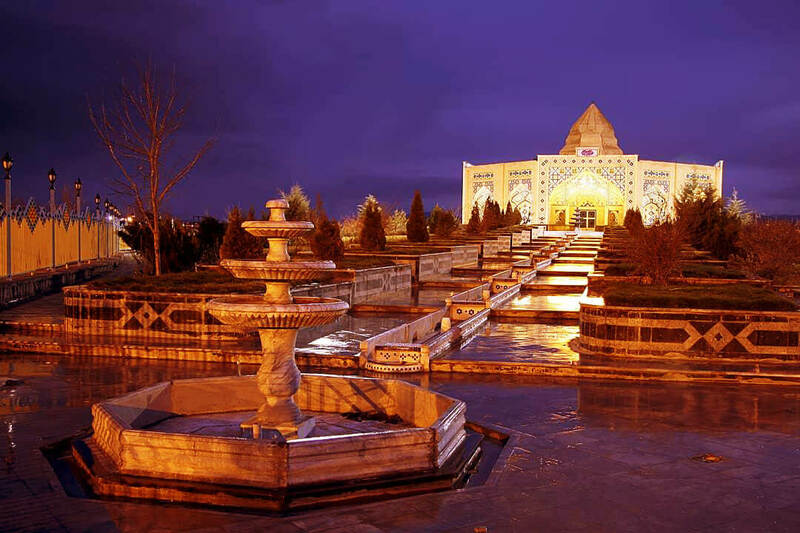 The tomb of is one of the most famous tourist attractions in Hamadan. It is located in the center of the city. The tomb of Baba Tahir is also in Hamadan. Baba Tahir is a famous poet from the fourth and fifth century Iran. The tomb is located in Babatahir Square, in somewhat the center of the city. 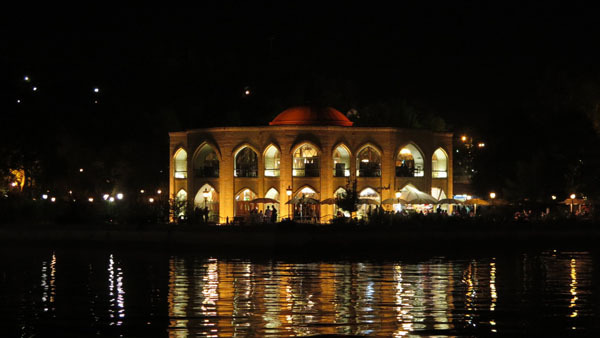 In its vicinity, there is also the Hamadan Handicrafts Museum, which you should definitely visit. It is one of the oldest historical regions of the country. Hegmataneh is known to be the first capital of the country. According to Herodotus, the famous Greek historian, this city was built on the orders of Diako, the first king of the Medes. They say that the city was within seven layers of walls, each with a particular color. Diaco himself lived in the heart of the city and in the last layer, so ordinary people would not be able to see him closely. During excavations in this area, valuable works from various historical periods including Achaemenids have been discovered. The Hegmataneh Museum is located next to this ancient hill, and many artifacts are kept at this museum. One of Hamadan’s most intriguing historical sites is considered to be the Hamam-Ghale. A 1500m bathhouse that has now become a museum. It consists of two hot and cold sections that have a pivotal entrance. After passing through the vestibule, first, the cold bath and then the warm bath is located. After rebuilding in 1387, the bathroom changed and became known as the Museum of Anthropology in Hamadan. Inside the bathroom, there is also a traditional dining room. 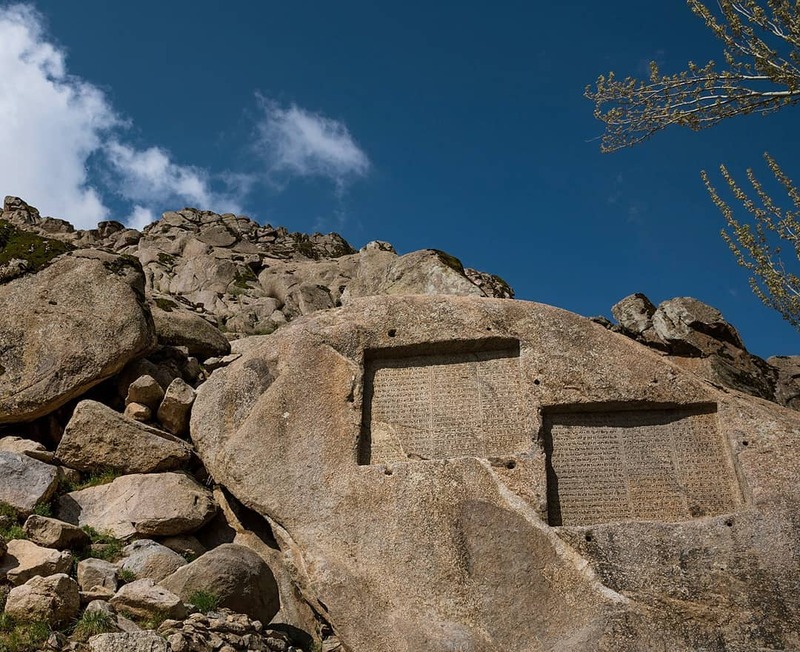 One of Hamadan’s most beautiful mirages is located approximately an hour and a half outside of the city, 20 km before Nahavand. The Giyan Mirage is considered to be one of the most abundant mirages in the region. Giyan means “life” in Kurdish. The water comes out from the heart of the mountain and has a beautiful waterfall. The interesting thing about this area, in addition to the air that simply rejuvenates the soul, is its old-fashioned elderly trees. Also, the road that goes to the mirage is a green and lush road which reminds people of the north part of the country. During your visit, you might want to get some distance from the city and have a good place to rest and relax for a few hours. Our recommendation is the Mishan plains. A place in which the nomadic people used to stay, but recently it has become a beautiful resting spot on the Alvand slopes. To get there you need to climb the mountain, but not all the way to the top, so it can be considered as a good sport in a way. Hamadan is the oldest city in Iran, hence there are many historical monuments in this particular city. One of them is the Alavian dome from the Seljuk period. It is considered to be one of the architectural masterpieces in Iran. The dome was first used by the mosque, but later it became a family tomb. 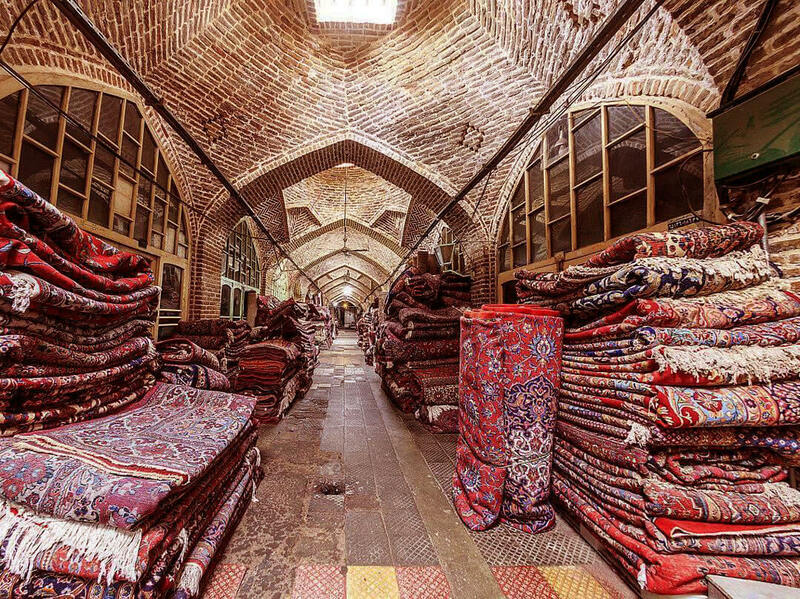 One of the most beautiful markets in Iran is the historical market of Hamadan. 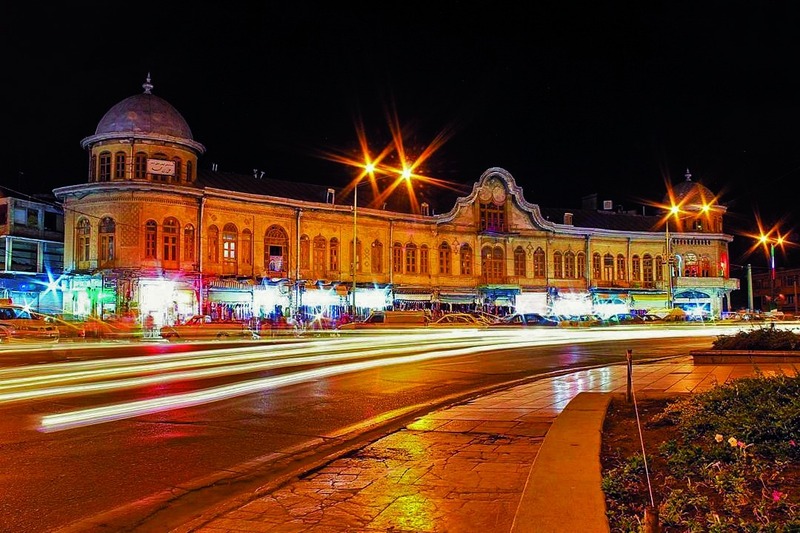 The market was built in the Qajar period and like all markets from that time, has different departments and functions. Shoemaker’s market, spice seller’s market, butcher’s market, and so on. Felt, Kilim, handmade carpets, Kamaj Naan, Leather, Basloogh, Shirmal Naan, pottery and the famous coconut candy of Hamadan can all be purchased from the market. The city is still the place for partisan activity. An honorary doctorate from UNESCO in 10 different cases is proof of the fact. It is the symbol of Iranian pottery and woodcarving. 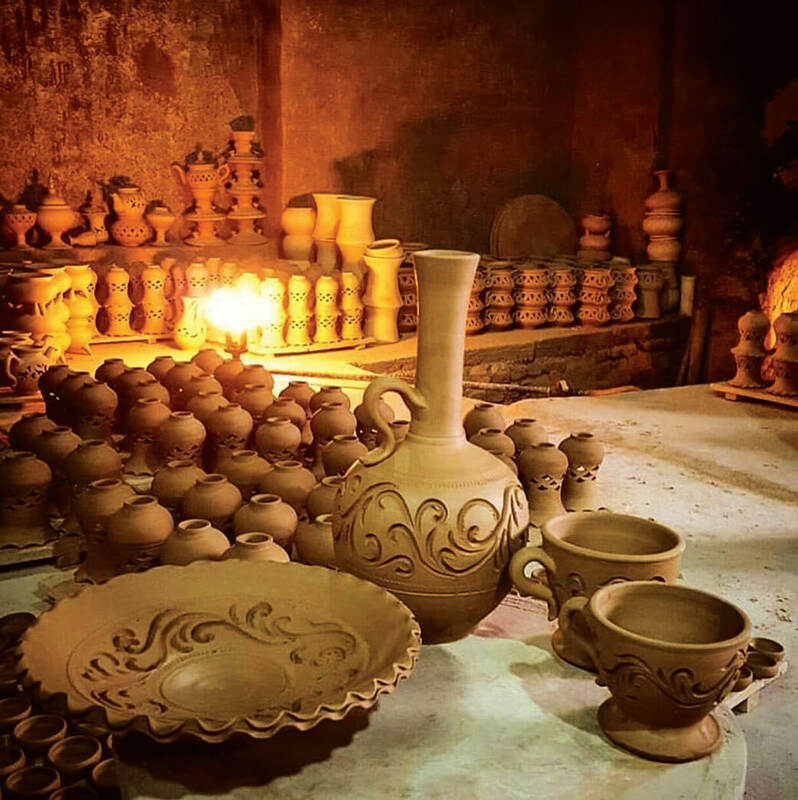 The center of pottery is Lalejin in Hamedan province and the town of woodcarving is Malayer. Turkana is one of the important centers of woodcarving as well. 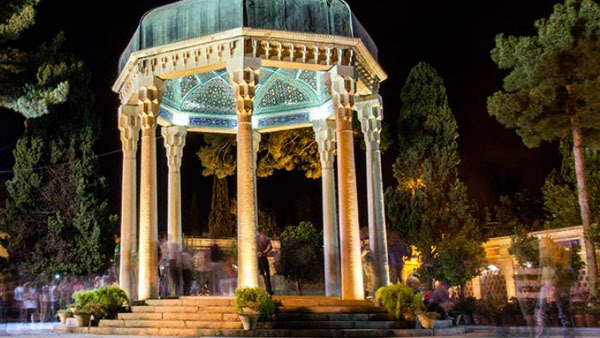 In general Hamedan province is the symbol of art throughout history. Craftsmen and artisans from Malayer work in different fields but most of them are engaged in couch making and woodworking. Pottery has been handed down from generation to generation in Lalin. This is their ancient and traditional art. The products have got good quality and the materials used are good enough to some extent. The place of origin for this kind of fiber is Gilan, Tehran, Hamedan and also some parts of Malayer and rural areas like Geshlag, Gorab, and Dilijan. These are the leading cities in the country that are helping this handcraft industry to flourish. The reason behind this particular place of origin is that the plant grows only in some fertile grounds. The cities aforementioned provide this opportunity for the genus “Morvar”. It is not easy to pinpoint exactly when this art was initiated in Malayer, but it is definitely clear for us that the use of baskets known as “Toije” in cities like Malayer and Nahavand goes back to a few centuries back. “Toile” refers to the long baskets that the local women weave. The gardeners use them for carrying goods. The little baskets are used to place cosmetics and such. Some of these artifacts are available in “Lotfalian” museum in Malayer. The process of making the “Morvar” includes plucking the sprouts by the gardeners and selling them to “Morvar” weavers. Then the weavers clean them with special scissors and classify them according to their thickness. The next step is putting them in the water reservoirs or boiling pots. After being poached for about half a day, their shell is plucked and then they are cut into little pieces. Finally, they are weaved according to the shape of the receptacle they are going to be, and are put together like the fibers of a carpet. The City of Tanneries of leather from the skin of cows and the sheep and making useful objects and precious commodities from them.” This is the text which William Jackson, the renowned orientalist, wrote about the city in 1902 when he was visiting Hamedan. He introduces the city as being very skillful in the leather industry. 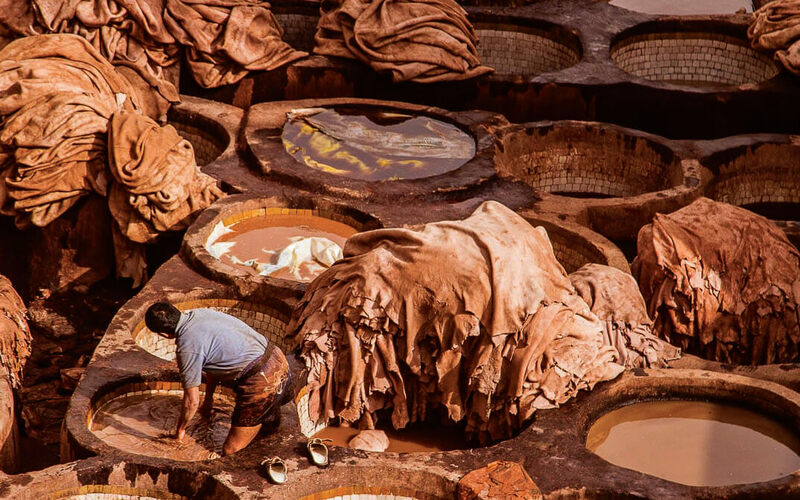 This gets interesting when we observe that the art of making leather is a hard and arduous task and because of this usually it’s just men who pursue this vocation. “Tanning” or “Tannery” is the art of transforming the putrefied skin to a natural, beautiful and enduring substance. Its presence is essential for everyday items necessary for people all over the world. 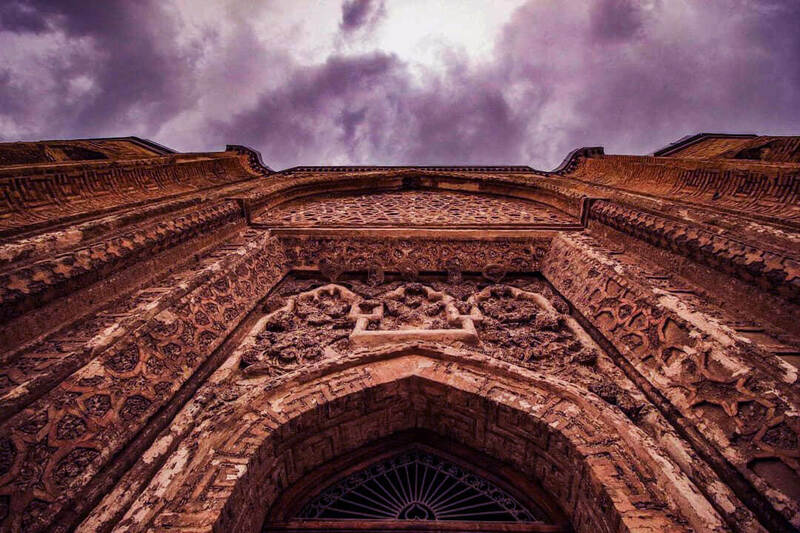 But we cannot talk about Hamedan’s leather industry and say no word of “ Ardashir Yeganegi”, his sobriquet being “Master Ardashir Yeganegi”, the founder of the first modern leather factory in Hamedan. Coming from a Zoroastrian family, in 1932, with the help of one of his friends “Shahriar Farvardin”, who had been taught the necessary lessons in leather-making, founded the first automated modern leather factory in Hamedan. He was able to manage one of the biggest leather factories in the country in the city of the tanneries. It seems that something significant is going to happen. With a little attention, we notice that the grape harvest season has come and the villagers are excited about that. In the meantime, a traditional ceremony is on the way, and that’s syrup making. The ceremony takes place in all of the villages but if you are present in Manizan you can observe and enjoy it the most. 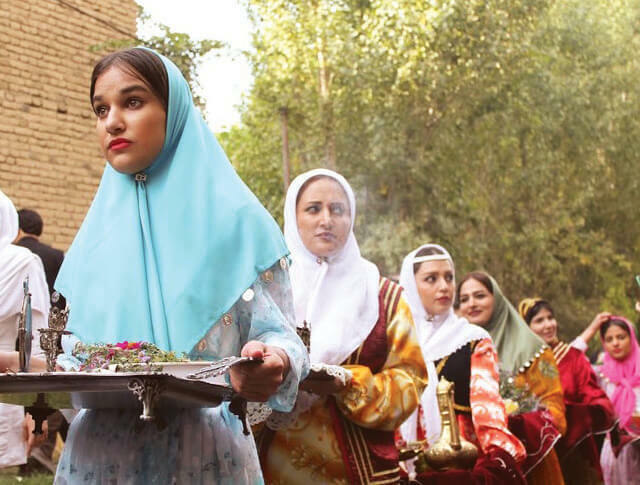 This event has had a long history in Malayer and gradually it has become one of the region’s customs. Along with making grape syrup, happiness and intimacy are other important achievements of this ancient tradition. Everyone is looking for grapes suitable enough for making the syrup. Special tools and equipment that have been in stock since last fall are used again for making this year’s syrup. All family members, especially women, have an important role to play. Making the syrup is a collective job and everyone should help. The best Iranian grape syrup is produced in Malayer. Making the syrup starts after harvesting grapes, usually in September. Raisin is used for this process because it is simply juicier. Besides making the syrup, it is also used as a juice. 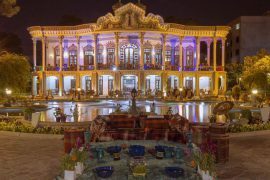 In addition to the unique properties of Malayer grape syrup, the ceremony also has various cultural and traditional dimensions. That is why every year, along with syrup making, a happy and fun festival is held by the people and the authorities. In the festival, in addition to the presentation of how the syrup was made, the high-quality grape-related products are offered, you can also see and buy traditional arts and crafts. It is recommended to visit this festival. You will surely enjoy it. 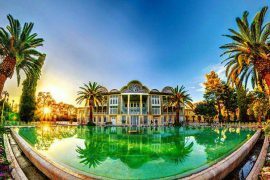 If you are interested in sports tourism, you can choose Hamedan as your destination. 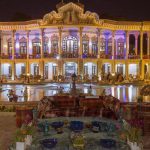 The cultural, natural and human capacities in Hamedan province has made the people of this region the subject of joy and happiness. 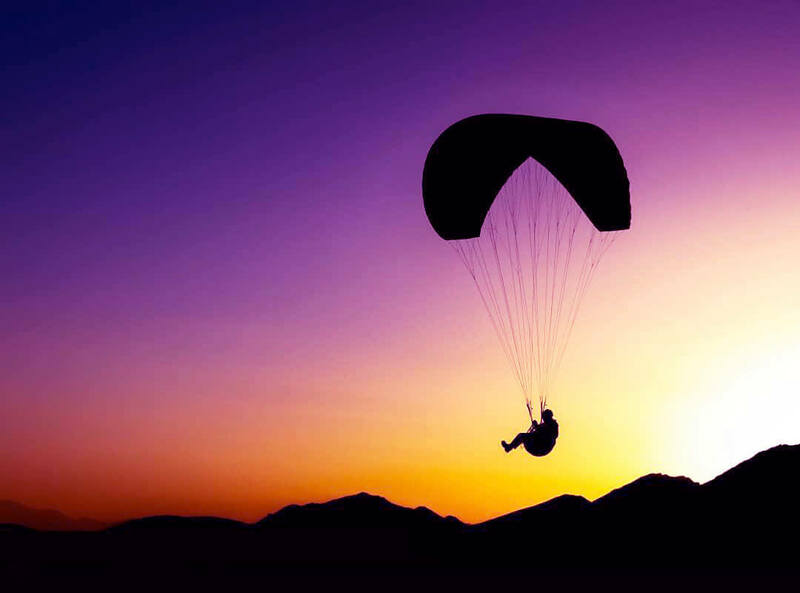 Sports such as snowboarding, grass skiing, flying with kite and paraglider, horseback riding, motor racing, hockey, hiking, and climbing are among those many young people enjoy. Skiing in the Tarik-dareh valley of Hamedan and hiking in Alvand mountain range is something you do not want to miss. Shopping and trading have a long history in this particular city. 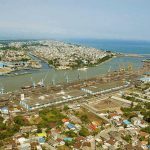 The existence of numerous historical markets in the province proves the fact. Historical markets in Toyserkan. Malayer, Nahavand etc. the word “historical” doesn’t mean that everything in the market is ancient. In the markets. you can see and buy souvenirs like (Angosht Pich, Komaj, Shirmal, walnuts, Balogh, almonds, plum etc.) and handicrafts such as pottery, leather, Morvarbafi, wood carving artifacts etc. along with your everyday purchases. The most important commercial centers of Hamedan are The Historical Market, and the streets leading to Imam Square. 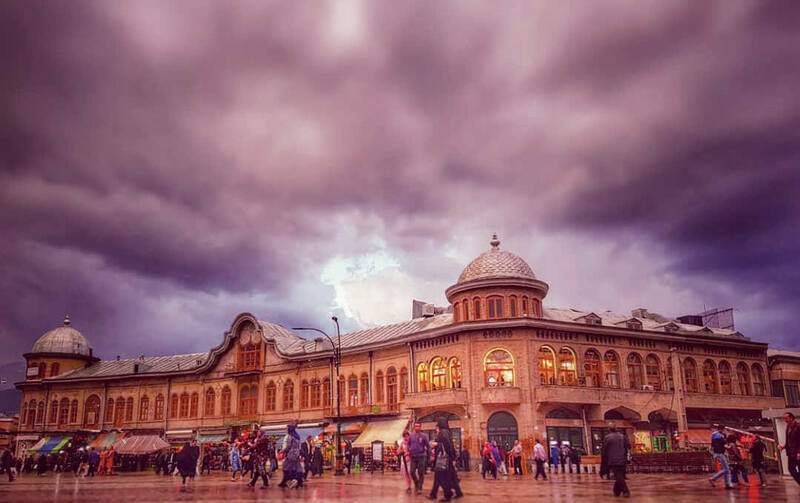 You will definitely enjoy walking around in markets throughout Hamedan. Experience this unique pleasure. 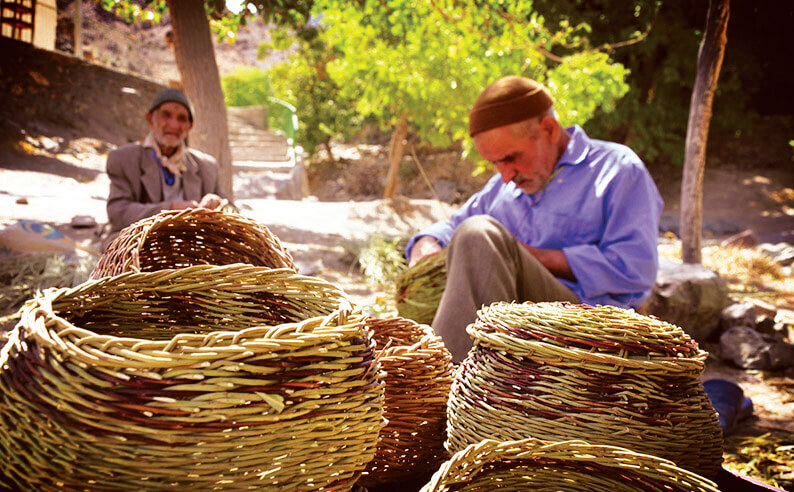 When autumn comes, the hard-working people of Tuyserkan prepare for harvesting. This preparatory work seems more like a festival than an economic activity. 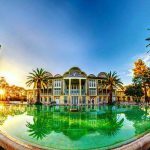 Hamedan is rich with history and civilization. Diverse ethnicities and various cultures have lived together in this city for centuries. It goes without saying that Literature and folklore, traditional arts, locally produced food and native rituals are the backbones of the city. It’s also important to point out that pottery, woodwork and saddle equipment, Pearls weaving and many other fields are in full effect in this particular city. 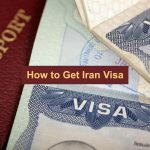 There are also religious events and traditional customs like Mourning of Muharram, traditional pastries, native songs, traditional games and Nowruz (Iranian New Year’s Day) which of course are not exclusive to this city or any city for that matter.